Hello! Thank you for reading Shakuju Association blog. Usually, I'm updating articles translated from Kobayashi sensei's writings in Japanese or other senseis' articles in Japanese Shakuju Association blog. But, today, I'd like to write about the other thing, the mystery of the funny creature of Shakuju Association. Some of you might have noticed that there is a non-acupunctural video on the video bar section on the right. Haven't you noticed yet? Hmm. Soo, do you want to know what this strange creature is? 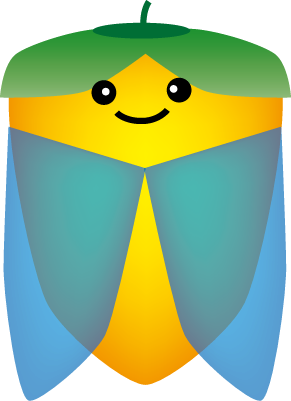 This is called Kakisemi kun. There is annual summer seminar for students of acupuncture students, and this is the special character for the summer seminar. The summer seminar in Japanese is Kaki (summer) Seminar, in abbreviation Kaki-Semi. The sound "Kaki" also means "persimmon" and "Semi" means "cicada" (in different Chinse characters though), so Kaki-Semi means summer seminar and persimmon cicada. Got it?? Yup, we had the summer seminar in the weekend of 18th and 19th August. 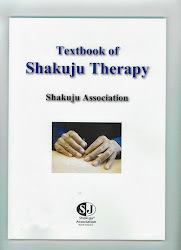 Many acupuncture students came to study Shakuju therapy. It started from the introduction of theory, abdominal contact needling, pulse adjustment, abdominal diagnosis and back-shu point treatment, then students went through the whole treatment procedures, so they treated each other in the last session of the seminar. Do you still wonder what the video was?? 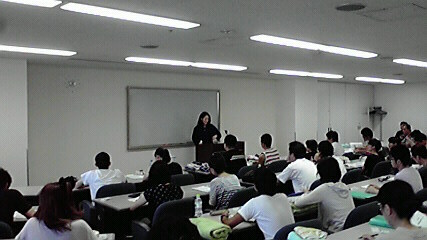 Actually, for students who have attended the summer seminar three times (three-years education curriculum is common in Japanese acupuncture schools, except some universities), O sensei made the special Kakisemi-kun cell phone accessories (Kobayashi sensei also has it on his cell phone!). And this video is about how to make it.